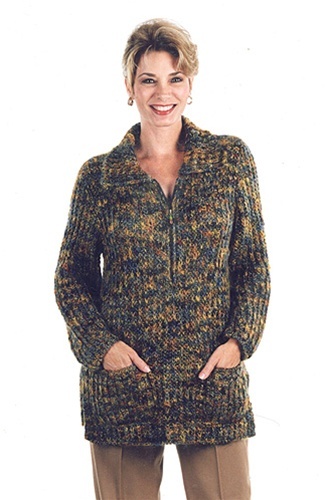 A very pretty pullover tunic with neckline zipper, side vents and pockets. This design makes the most of beautiful Dune yarn! Three sizes S - M - L with finished bust measurements of 38½" (41½, 45½") take 11 (13, 15) 50g balls of Dune.